This past weekend, besides the cropduster biplane, I got a chance to take some photos of another expert flyer. 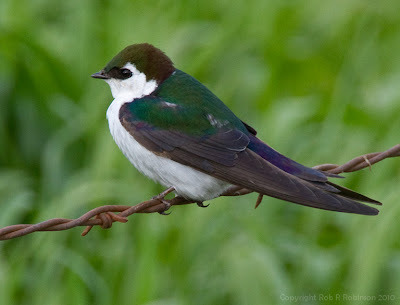 The violet-green swallow was taking a brief rest from his aerial maneuvers catching insects on the wing. This swallow's colors are incredible and usually difficult to glimpse as it darts by. The one below was kind enough to pose for me. I have two fond memories of swallows from years gone by. 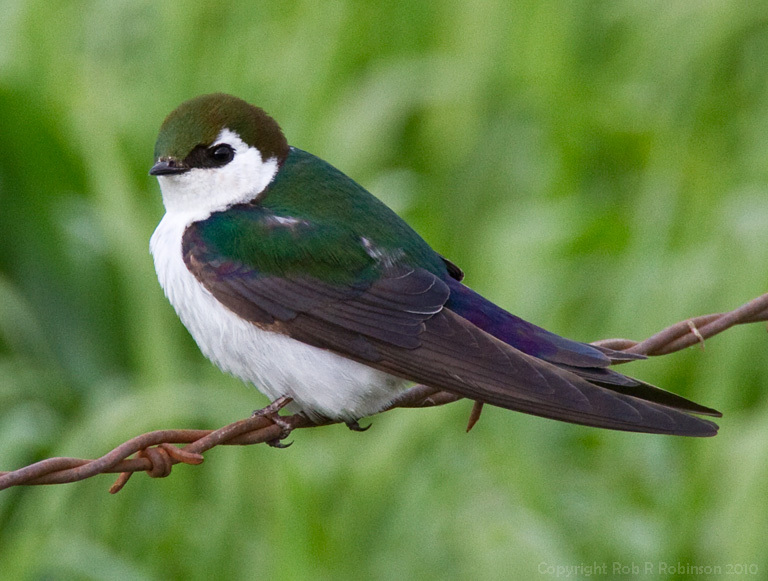 One was from a kayaking trip on the Willamette River when we saw dozens, if not hundreds, of swallows flying just above the river, within a foot of the surface, in front of us. Occasionally the birds would fly into their nests dug into the high, steep riverbank. The other memory was from sitting on top the peak of Casa Grande, a mountain in Big Bend National Park in Texas. The swallows kept zipping past so fast, the sound their wings made slicing through the air was loud enough to be easily heard above the strong wind.